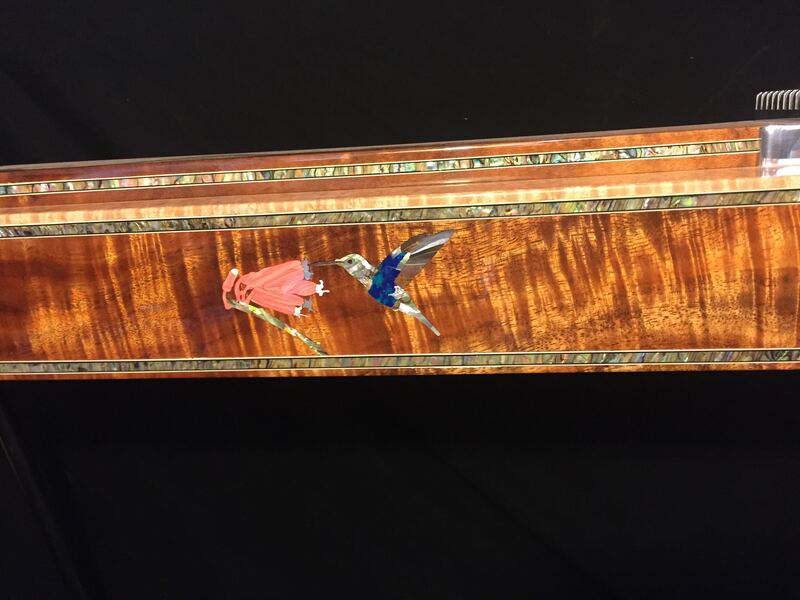 Exquisite work of art for serious players and collectors. 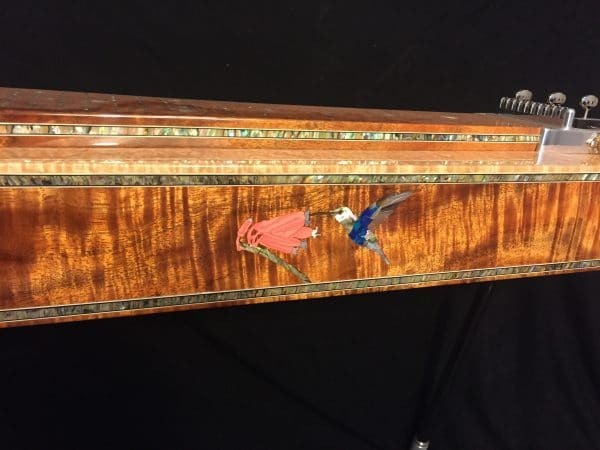 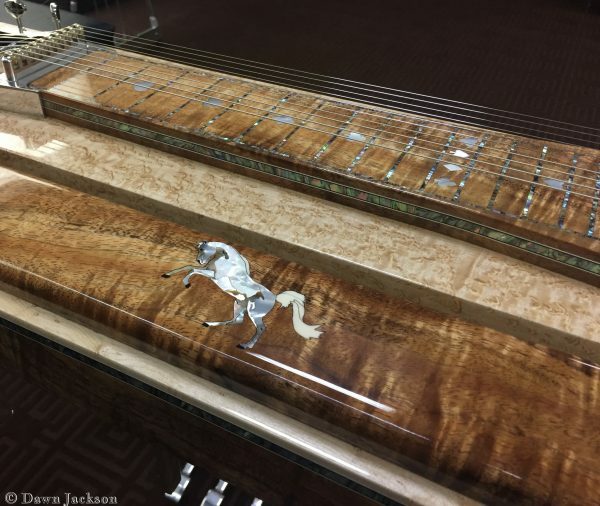 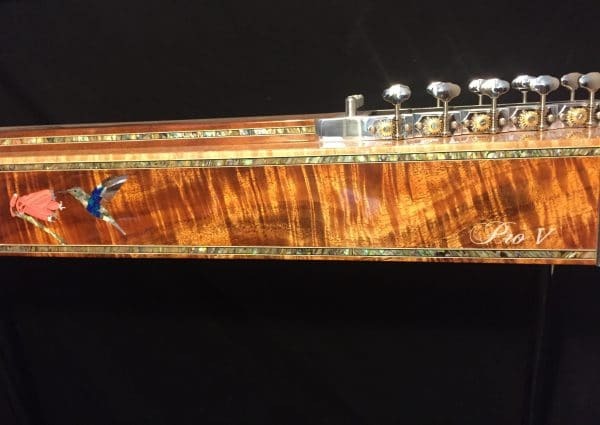 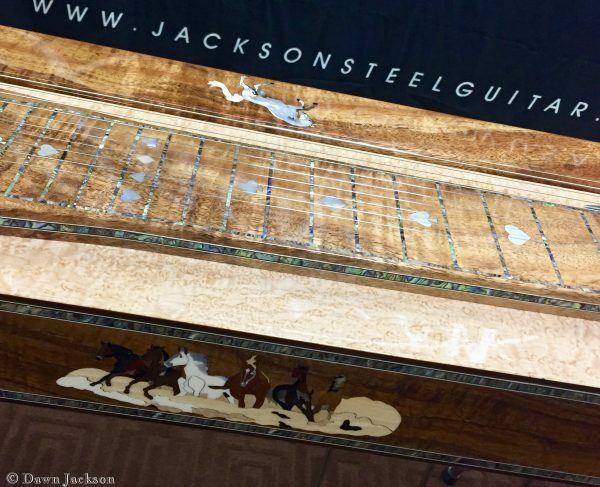 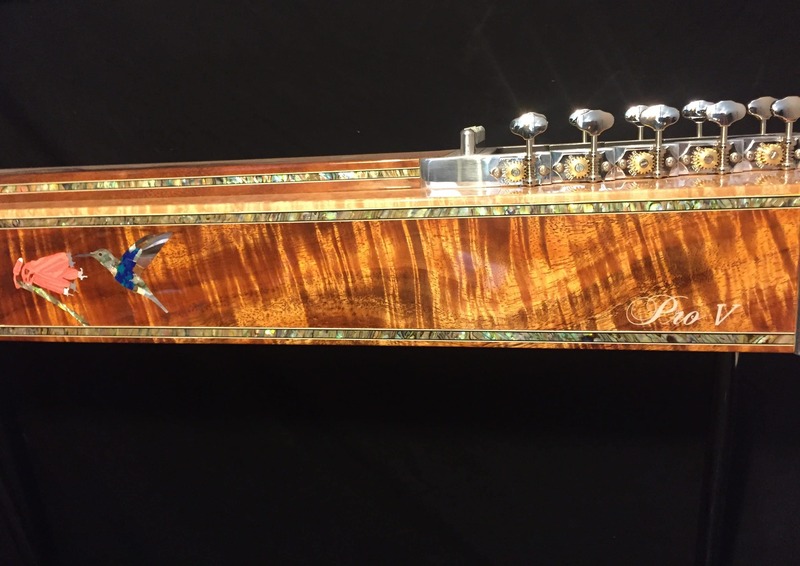 Exotic wood selection and custom inlay options, including mother-of-pearl, abalone, ebony and other woods. 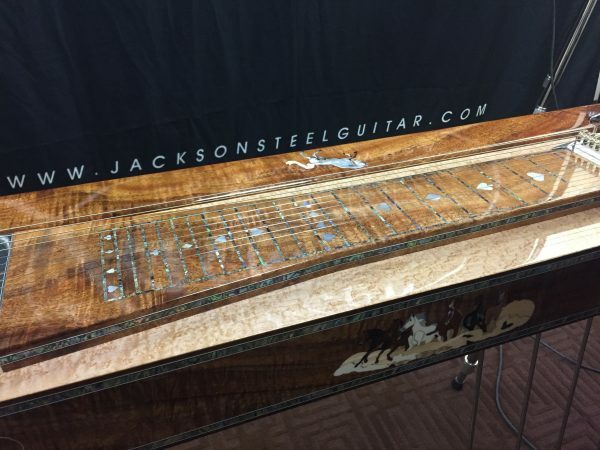 All parts are hand-made by David and Harry Jackson. 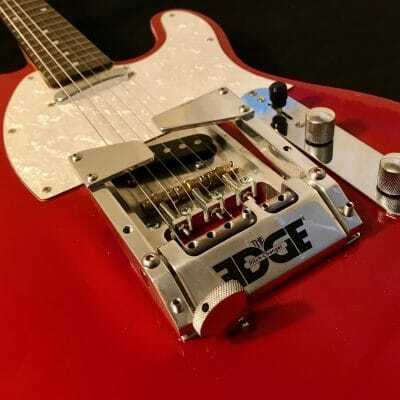 All-Bearing Raise and Lower system for ultra-smooth performance. 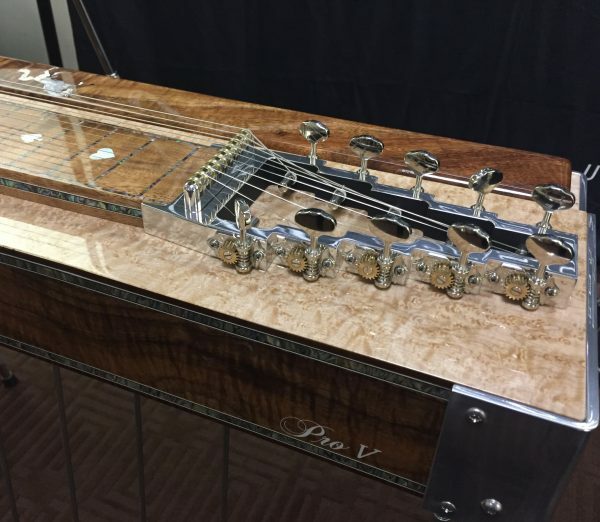 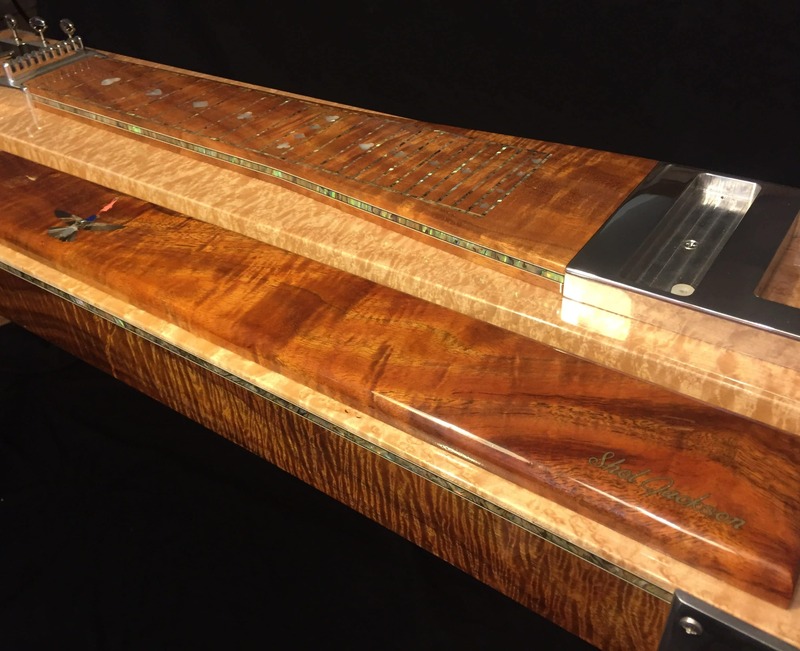 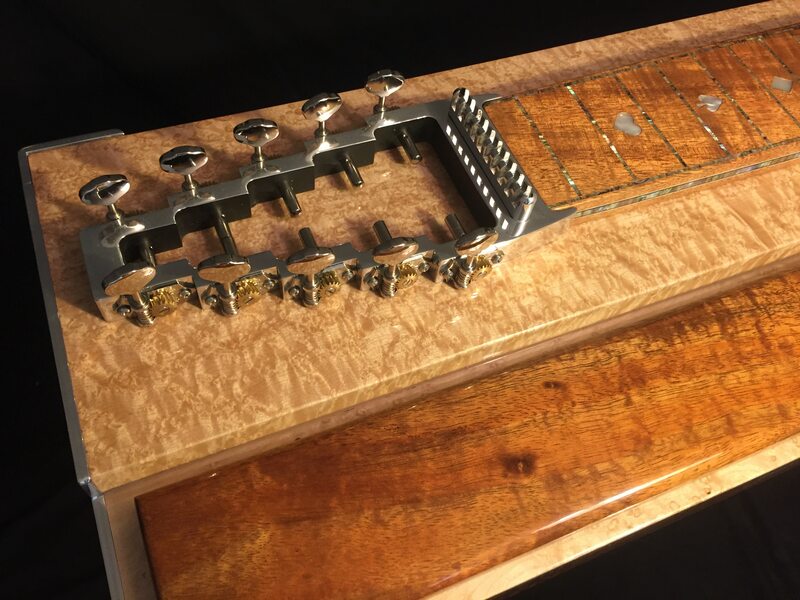 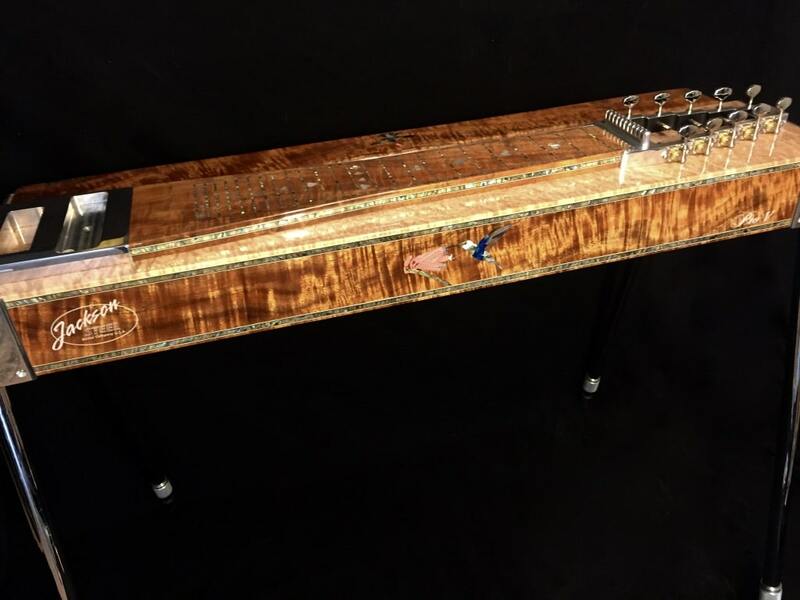 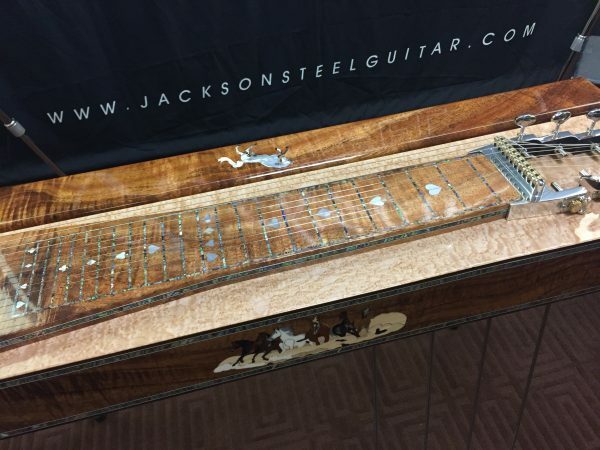 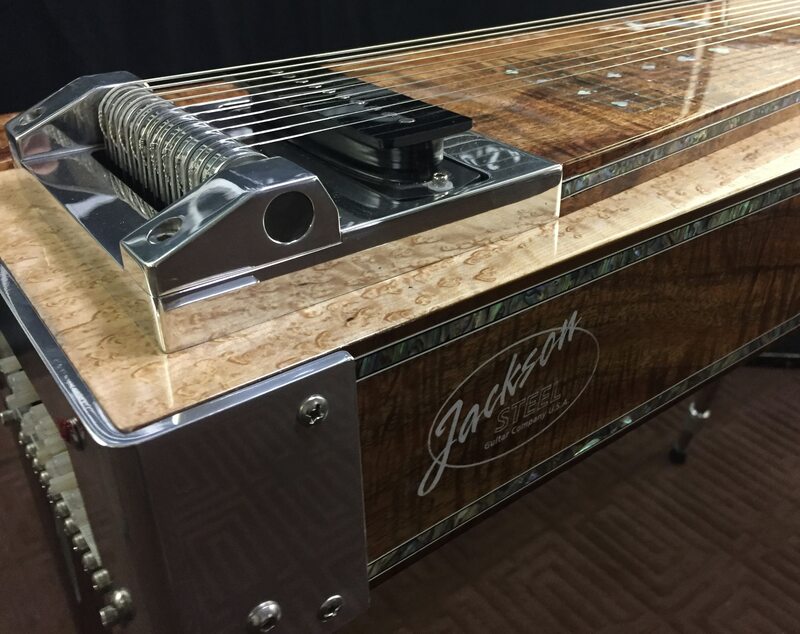 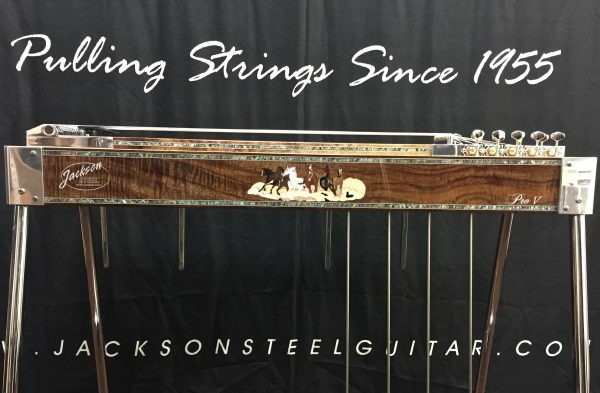 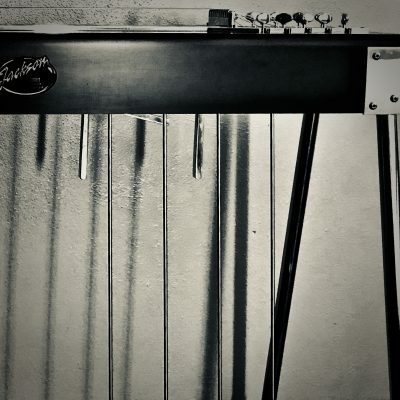 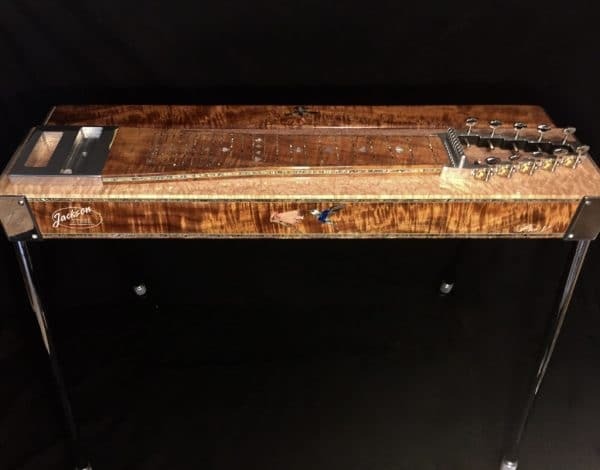 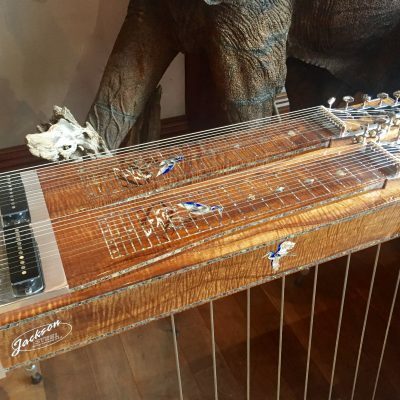 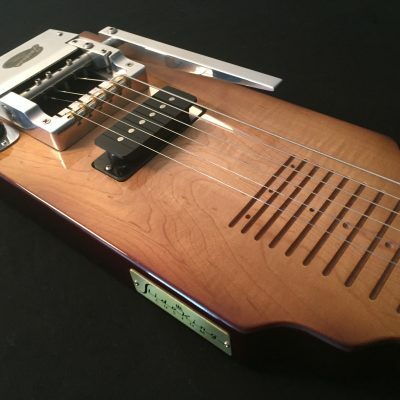 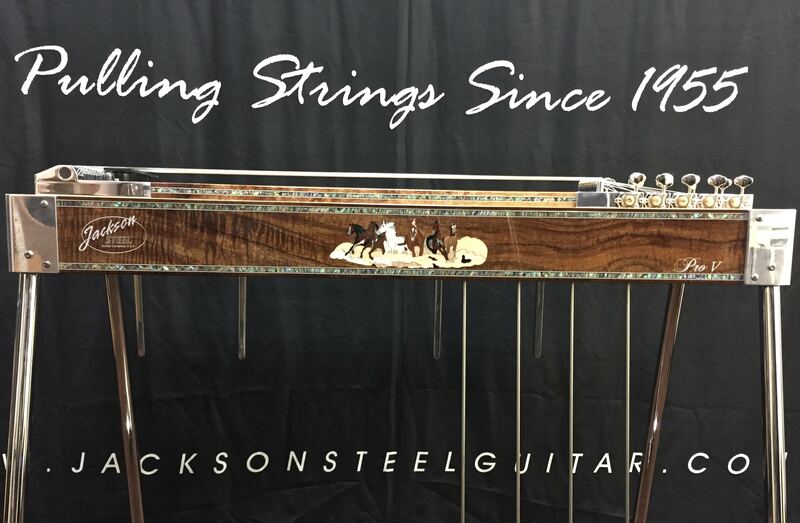 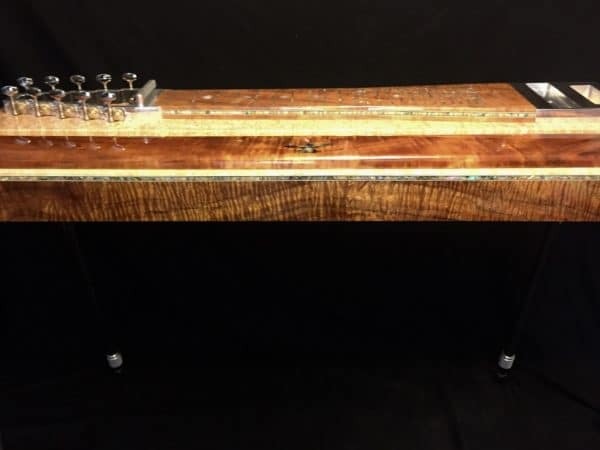 Pro V Signature Series E9 pedal steel guitar, exquisitely designed, hand crafted and signed by David and Harry Jackson. 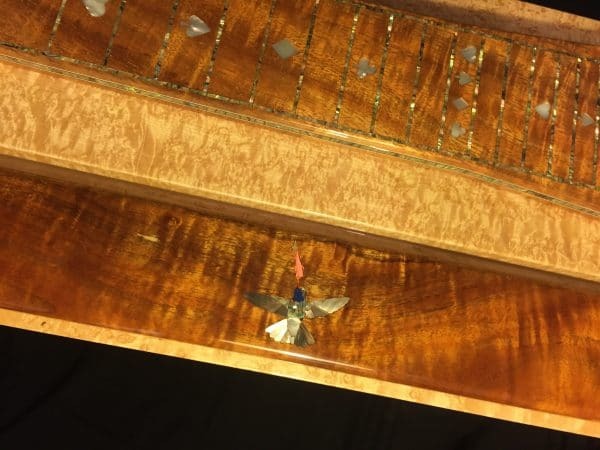 Exotic music-grade wood of your choice, hand selected by builder. 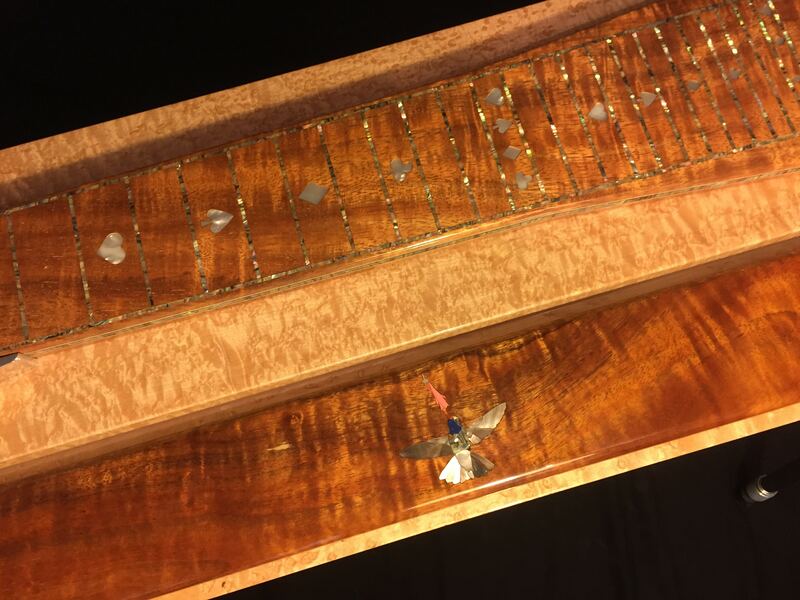 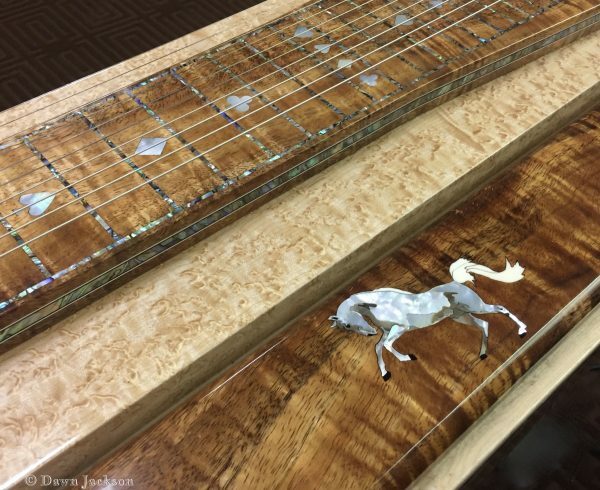 Custom designed abalone and/or mother-of-pearl inlay on front and rear aprons, as well as fret boards/necks. 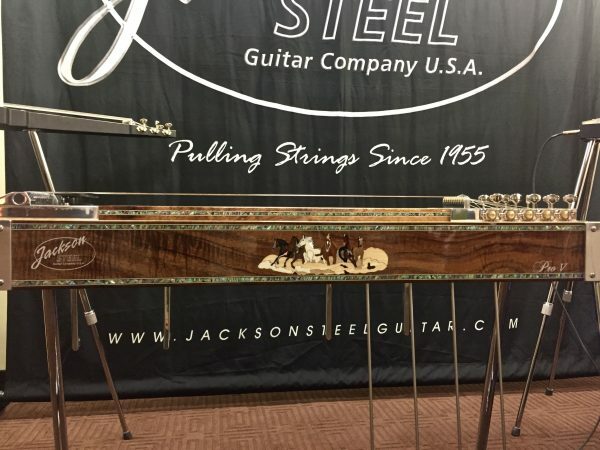 Pro V pulling mechanism (all-bearing system). 4 foot pedals and 4 knee levers. *Shown in photo: Single neck pedal steels with Koa wood, maple wood, abalone, wood and mother-of-pearl inlay. 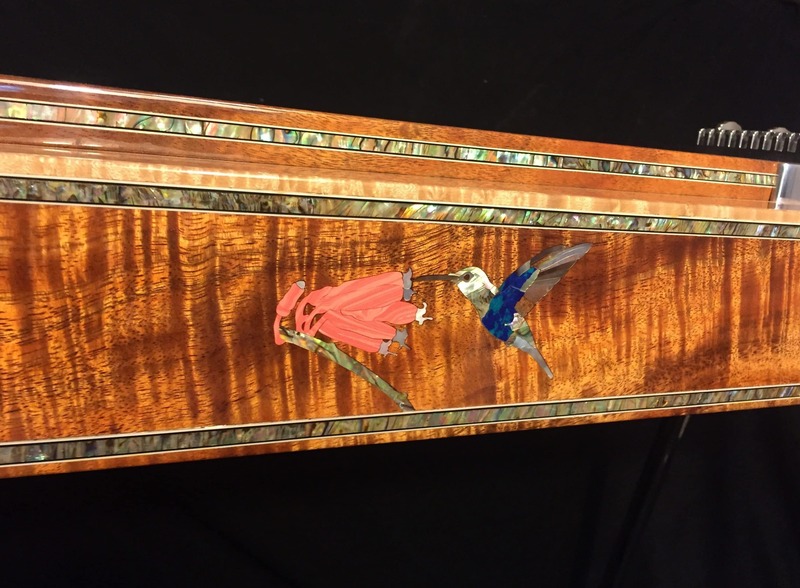 Contact us for wood options and inlay design. 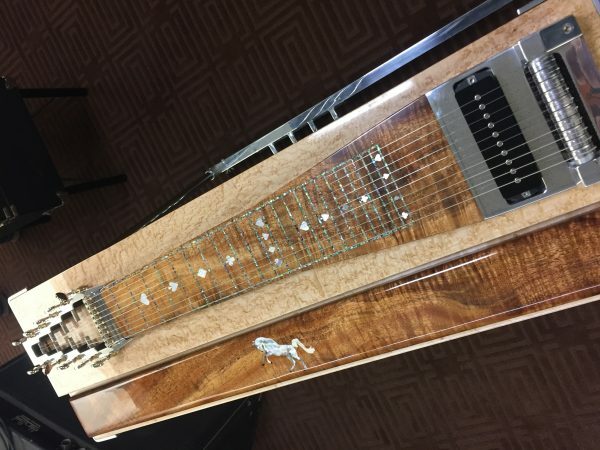 Also available in double neck.